This really is a special house, dating back to 1750 with an exceptionally beautiful garden. The walled town of Carcassonne With its 3 kilometres of ramparts lined with 52 towers, the impressive medieval city of Carcassonne, a UNESCO heritage site, can't fail to delight lovers of old stone buildings who visit it. It is one of the most visited places in France and millions of visitors flock there every year to stroll its picturesque streets or sit on a shady terrace to enjoy a cassoulet. 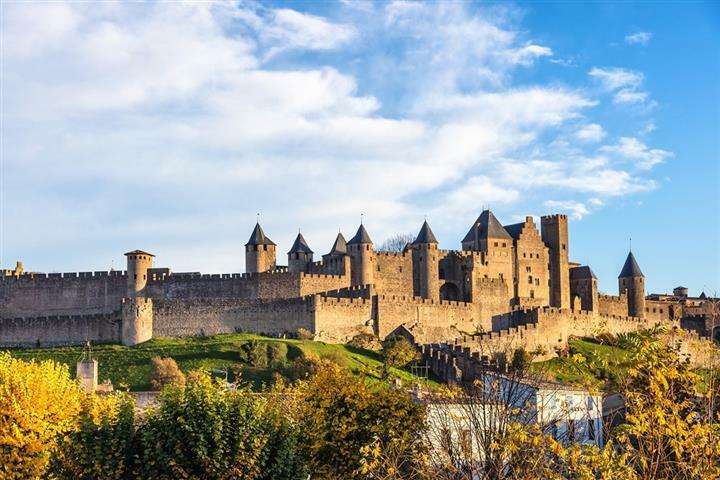 So, perhaps you will be tempted by one of the many properties that Carcassonne offers, whether to live in the shadow of its ancient walls, or to invest in a rental property? If you take a look at the real estate market in Carcassonne and its surroundings, you will find that there is plenty of choice: lots of town centre apartments at affordable prices, good quality houses, farms to renovate ... And, given the sunshine Carcassonne and area enjoys, perhaps a villa with swimming pool? Enter your email address so you can receive all the property listings matching your search criteria. Note: Your email address will not be sent to third parties and will only be used for this email alert. Your e-mail alert has been created. Thank you for using our services.